The Kittery Point Yacht Club is bringing back the Ron Gibbons Memorial Regatta this year. This PHRF Racing and Cruising Class event honors on of KPYC founders and dear friend. The is a PSA Commodore's Cup qualifier and will also feature One Design Racing is four or more yachts of the same design register. We are also planning to have J24 Match Racing. This is the first KPYC Regatta of the Season and we look forward to a great day on the water followed by our Annual Pig Roast Awards Dinner and Social. Portsmouth, New Hampshire, June 25, 2012 – The Ron Gibbons Memorial Regatta, sponsored by Kittery Point Yacht Club (KPYC) and the Piscataqua Sailing Association (PSA), was held on Saturday, June 23 in the waters off Portsmouth Harbor. 14 boats competed in good weather with light winds, racing from the buoy at Gunboat Shoals, off Odiorne State Park, to the mouth of Gosport Harbor, and finished at Whaleback Light. An awards ceremony followed at KPYC, where Marcia Gibbons, wife of the late Ron Gibbons a champion sailor and founding member of KPYC, presented the trophies. 70 people attended the awards ceremony and social, dining on a whole roast pig with all the trimmings. Next up on the agenda for sailboat racing enthusiasts; the John Paul Jones Overnight Regatta, to be held on July 6th and 7th. The racing will start off of Fort McCleary at 6:00 p.m. on Friday with sailboats traveling through the night to Cape Anne, , then back to Boone Island or Cape Neddick before finishing at Portsmouth Harbor the next morning. Awards presentation and aSouthern BBQ social will follow at KPYC on Saturday night. All members of KPYC and PSA and their guests are invited to the social. 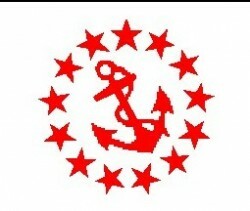 Registration for the John Paul Jones Regatta and tickets for the Southern BBQ social can be purchased on line at: http://www.regattanetwork.com/event/5125. Click on “Registration & info”. Kittery Point Yacht Club (KPYC), is located in New Castle NH, on the southern shore of the Piscataqua River, opposite Seavey Island and the historic Portsmouth Naval Shipyard. A member of the US Sailing Association, KPYC is well represented in local, regional and occasionally national events, with members racing and cruising a variety of boats. The KPYC sponsors the KPYC Sailing School, the Seacoast's only public sailing school and youth racing program. For further information, visit www.kpyc.net. The Piscataqua Sailing Association (PSA) is the official organization overseeing sailboat racing in the New Hampshire Seacoast and southern Maine. The organization sponsors racing weekly starting in late May and running through mid-September. It also sponsors the Gosport Regatta to the Isles of Shoals and cooperates with local yacht clubs on the weekend regattas that they sponsor. For further information, visit www.sailpsa.org. Editors Note: Photos are available on request.